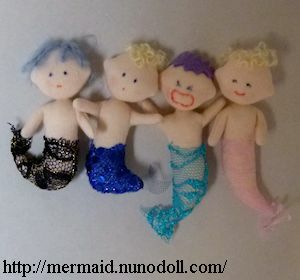 Tiny little mer-babies. About 9cm. Put two sheets of stretch fabric between two sheets of cotton lawn. 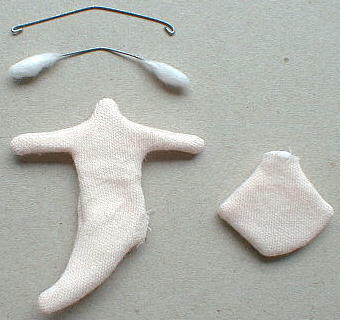 Sew the head and the body. 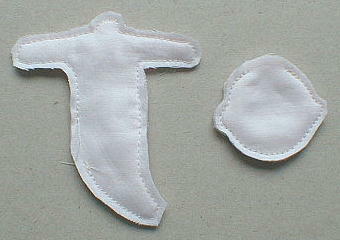 Cut with seam allowance (0.3cm). Put the wire in the arms. You can omit it. 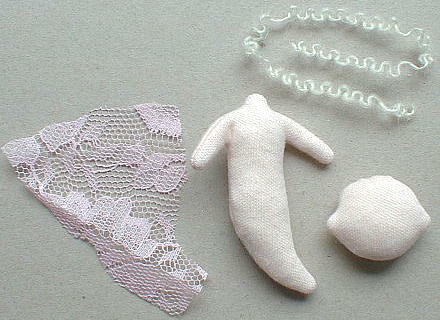 Wrap the fish part with another cloth (pink lace). Then glue it to the base. Draw the features with a felt-tip pen. Put rouge on the cheeks. Stitch the head to the body. 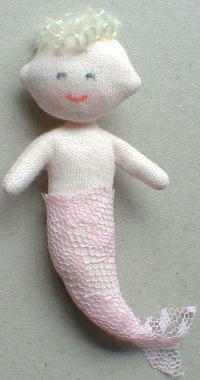 Glue a mohair yarn to the head.